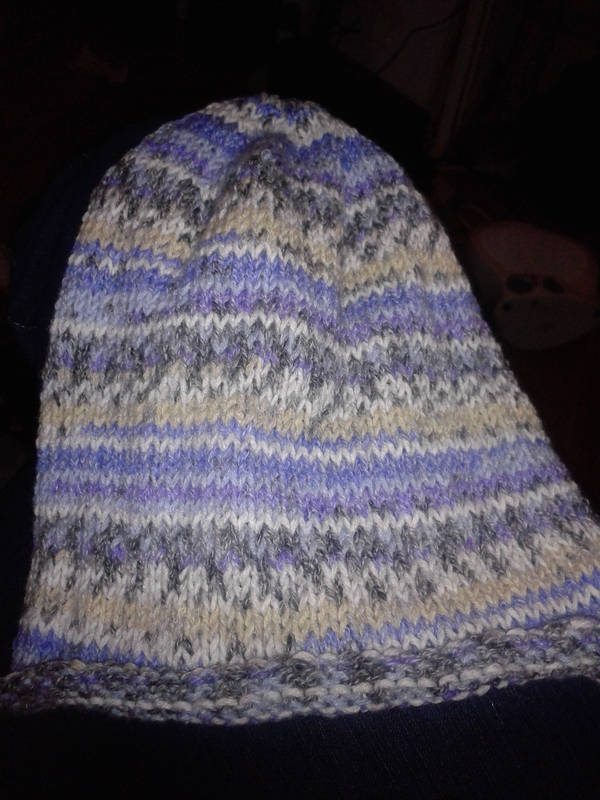 Ages ago now, I wrote a post about a hat I had made for a friend after both of us posting a commitment to “pay it forward”. Anyway, after an anxious wait thanks to Royal Mail, my friend’s gift to me arrived and I cried! 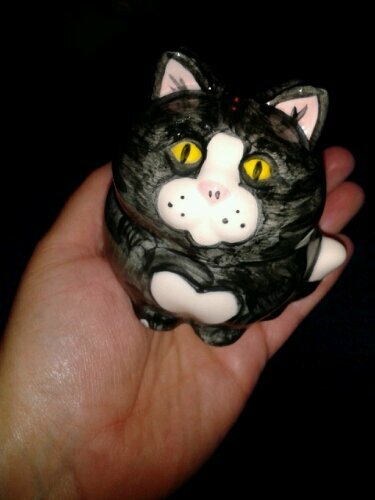 She had made and painted a gorgeous cat figurine which I’m still trying to find the right place for. I wish I had that amount of creativity! This cute kit does need a name though, any ideas?